Built between 1501 and 1531 it still shows the original door and part of the original frescoes inside. On the facade is the symbol of the pawnbroker’s, carved in stone. 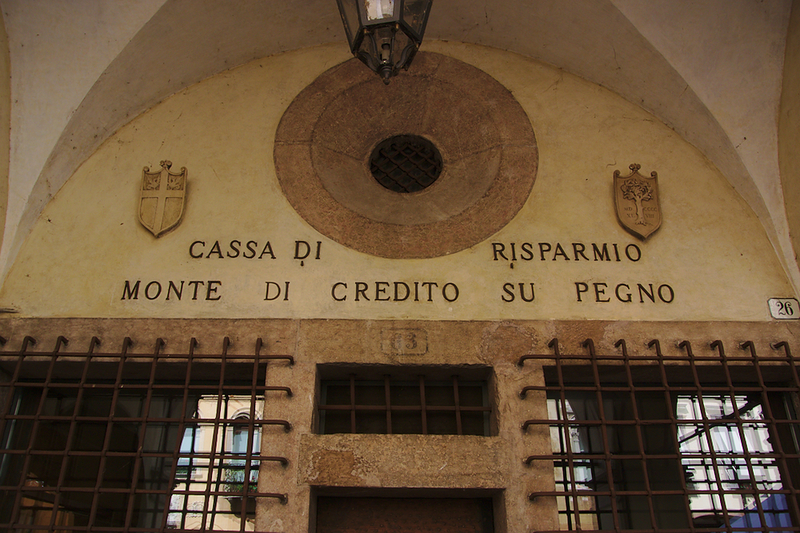 There are numerous coats of arms of Venetian rectors who assured the administrative autonomy of the pawnbroker’s. In the annexed Vergine della Salute church there are works by Andrea Brustolon and Leonardo Ridolfi.